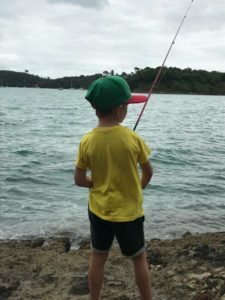 Emma Bregmen took this photo will visiting Cathedral Cove on December 27. 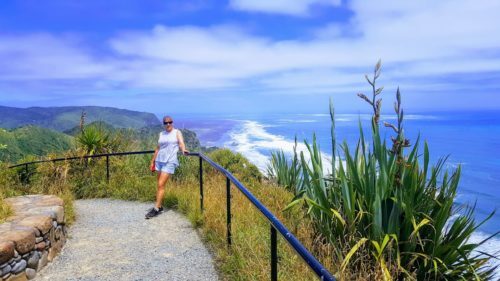 Whether road tripping around the country or enjoying the parks and beaches in our own backyard, locals spent the Christmas break soaking up the sun and making the most of the good weather. 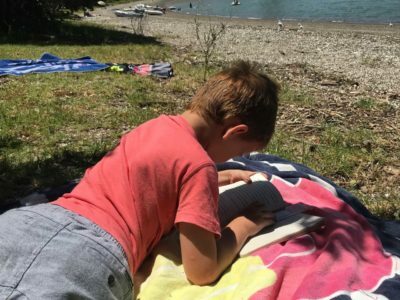 We asked our readers to share photos of the best parts of their summer holiday with us. Here are some of the snaps we received. 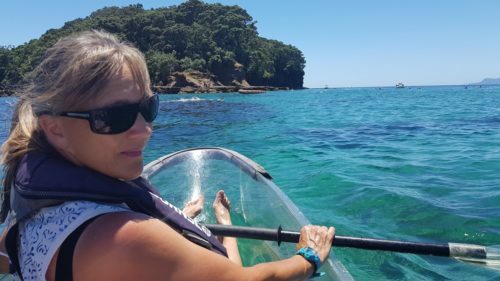 Emma Bregmen shot this one of her mum Julie Bradley clear kayaking (Clearyak) at the wonderful Goat Island. 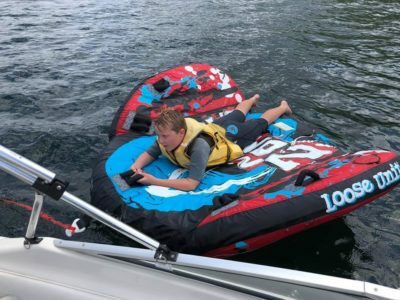 Connor McDonald on the sea biscuit at the Blue Lake, Rotorua. Photo by his mum Emma Bregmen. 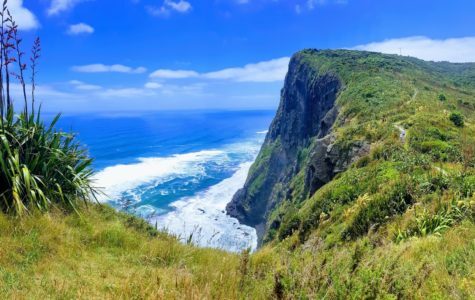 Goat Island Marine Reserve by Emma Bregmen. 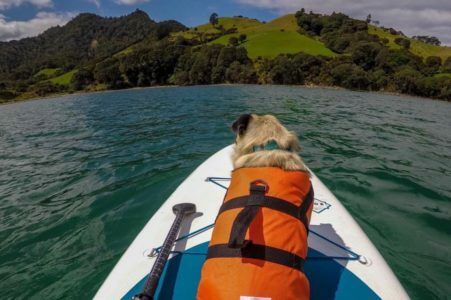 Isla the Pug out on a paddle board shot by owner Stephen Henkin. 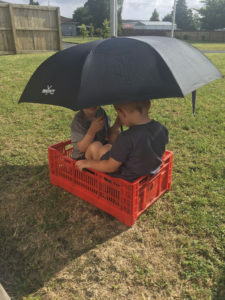 Karen Booth got this snap of her grandsons amusing themselves in Mangakino. 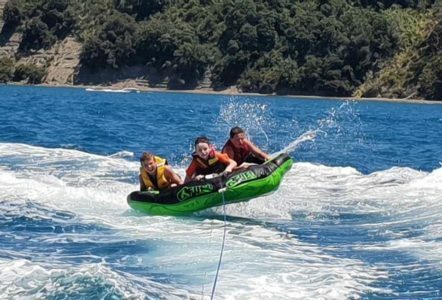 Jack Jonson, Blake Richards & John Christie enjoying a fun ride up in Martins Bay. Julie Bradley at Mercer Bay Loop Track. Photo by her daughter Emma Bregmen. Mercer Bay Loop Track by Emma Bregmen. 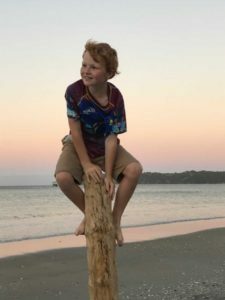 Moana Paterson says this is her favourite photo of the summer! 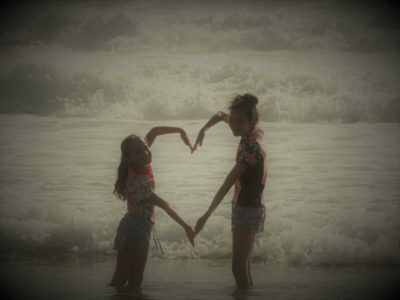 Her two girls at Opoutere beach in the Coromandel. 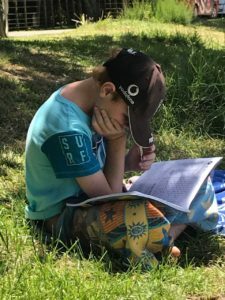 Maria Allan sent these next few in and said there’s nothing like the enjoyment of summer -, mosquito’s buzzing, birds singing and kids away from devices!. 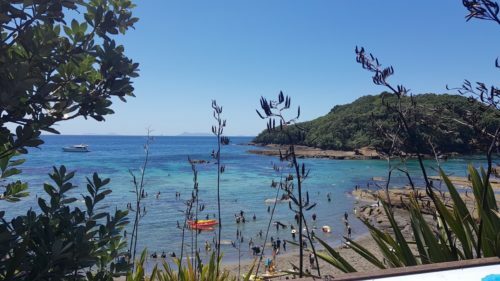 the shots are at Waiheke Island.